Being a teacher affords me a few luxuries, the most useful of which is predesignated breaks. I get a break during winter; I get a break during the spring. I even get a break during the summer (though I chose to overwork myself by teaching summer school this year). I’m the kind of person who is either working or stagnating. And for this reason, I tried to fill up my month-long summer break with activities. After the vacation, and after the brewing, I found myself at Quenchers nervously awaiting a local celebrity. I managed to make an appointment to talk to Goose Island’s John J. Hall about the happenings at Goose Island and about his move to 5 Rabbit Cerveceria. I’m not a very outgoing person. I happen to write all my BOTM (Beer of the Month) articles from the comfort of my own home, usually while either tasting the beer or reviewing my tasting notes from a previous session. This is not like John J. Hall. He walked into Quenchers and immediately caught my attention. With a firm handshake and a gentlemanly introduction, he quickly put me at ease. This small snapshot is really all one needs to see of this man. With so many medals under his belt, he still easily reaches back to the ideals of the neighborhood pub: comradery. Over spectacular Belgian beer, we tells me of his humble beginnings in brewing with a home brewing kit which he got for his 30th birthday. 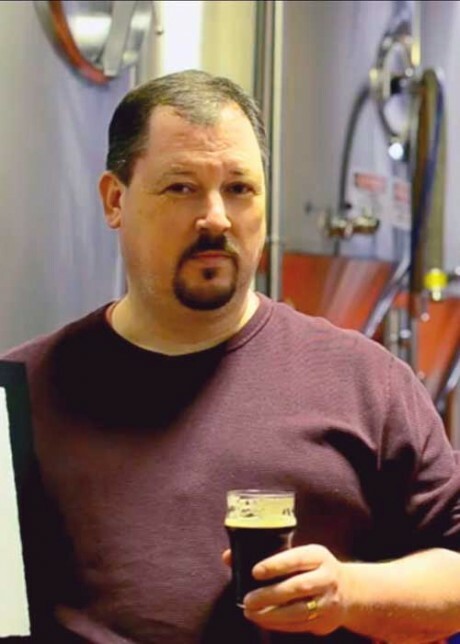 While working a job he didn’t love, he became interested in Siebel Institute’s brewing program. He decided to take an eight week course, which included working at a production brewery in Chicago, Goose Island. After his internship, be became part of the Goose Island family and worked his way up from Cellarman to Senior Brewer. Eventually, Goose Island (GI) beer became so in demand that they were, “…in a stage where [they] had to build a brewery or start pulling out of markets.” Even at 3000 barrels a week, GI was unable to meet the expectations of thirsty enthusiasts. After putting in time at GI and making sure the beer was unchanged post-sale to Anheuser-Busch, John resigned to help out the guys at 5 Rabbit. 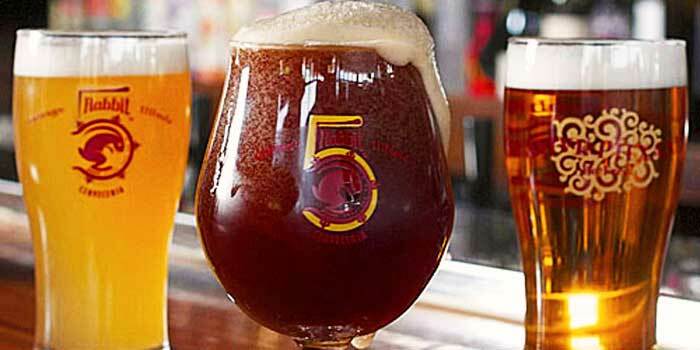 Now, after many years at Goose Island and many awards, John is stepping down to a much smaller brewery, 5 Rabbit. They—Andrés Araya and Isaac Showaki—had met at many Illinois Craft Brewers Guild meetings, but what seems to have caught John’s eye was when he realized that Randy Mosher was part of the 5 Rabbit team. John is going to be in charge of everything. As he says, “From brewing to bottle.” This is a big increase in responsibility for him, but he believes that great things are happening with 5 Rabbit, and he is excited to jump onboard. He’s ready to immerse himself in the Latin culture, but when it comes to the beer, he’s going to find what tastes right to him. As we ended our meeting, John told me about how one of his last beers at Goose Island leads directly into his coming work at 5 Rabbit. The Fulton and Wood series beer, Gran Gås, included the additions of lingonberry and spruce tips. These ingredients proved to be John’s first foray in the use of unusual brewing spices but will fit right in with 5 Rabbits as they already use ingredients like passion fruit, lime peel and ancho chilis. I’m excited to see what things the 5 Rabbit team will think up in the coming months, and I’m looking forward to kicking back with some new 5 Rabbit beers on one of my well-deserved breaks.